Bradley Cooper’s feature directorial debut, A Star Is Born, knocks it out of the park thanks to a stellar performance from Lady Gaga. Following a performance, country rock star Jackson Maine (Bradley Cooper) hits up whatever establishment he can find for alcohol. It just so happens that he lands up one bar’s drag performance night. A former employee, Ally (Lady Gaga) just happens to grace the stage that night. When Jackson sees her perform, he knows then and there that she’s a talented woman. She knows this. Her Sinatra-obsessed father, Lorenzo (Andrew Dice Clay), knows it, too. Much to her initial reluctance, he takes her out on tour. One viral performance later and Ally’s star is on the rise. We see Ally’s rise–thanks to her new manager, Rez Gavron (Rafi Gavron), through a progression of scenes. It would have been such a cliche to depict the rise through a montage. This also speaks to the type of authenticity that Cooper is going for as a director. It’s one of the things I love about the film, which also touches on tragedy. Whether it’s the outside venues or Saturday Night Live, Cooper strives for actual venues. Using any other sound stage that isn’t SNL‘s home base would not be the same. The performances filmed during Coachella and Glastonbury are as live as any musical performances on film can get! Lady Gaga delivers on every level in her first starring role. After viewing the film in Toronto and again the other day, I can’t imagine the film with anyone else in the role. This is how big of a contender she is in the performance–would the film be as compelling with someone else in the role? The answer to that is no. This is Lady Gaga’s performance and she absolutely owns it. “The Shallows,” a song featured in the trailer, is going to blow audiences away when they see this film in theaters. No musical performance in this film was lip-synched. Everything sung during this film was happening as the cameras were rolling. On that note, these performances are also well-edited, too. The film’s soundtrack, releasing on the film’s opening day, is sure to be a hit. I can’t get enough of it! It isn’t just Lady Gaga or Bradley Cooper who do an amazing job but Sam Elliott, too. The star of The Hero plays Bobby, who is so full of resentment that it isn’t even funny. You can sense the bond between Bobby and Jack but there’s so much tension in their relationship. Darren Aronofsky veteran Matthew Libatique helps drive the film home behind the camera. He takes us onto the stage with them. Every shot we see is from somebody’s point of view. There are no wide shots looking at the the stage. Jay Cassidy has the tricky job of editing this music-centered film. They have a way of making the close-ups in the film, especially early on, count for something. “If there’s one reason we’re supposed to be here, it’s to say something so people want to hear it,” Jackson tells Ally at one point. They said something alright. Some films will enter the fall film festival season with hype only to falter. A Star is Born not only entered the season with hype but truly delivered. The story may be a tale as old as time but the Cooper-directed film is strong enough to stand out on its own. Even though this film is a remake and may not be necessary in that regard, Cooper gives the film a stylish update that is fitting for the the 21st century. Hell, there’s even a few surprises along the way! Whether it’s Cooper, Lady Gaga, or the always-booming Sam Elliott, A Star is Born is one of the home runs to kick off the fall festival season. A Star Is Born premiered during the Venice Film Festival. Warner Brothers Pictures will open the film on October 5, 2018. 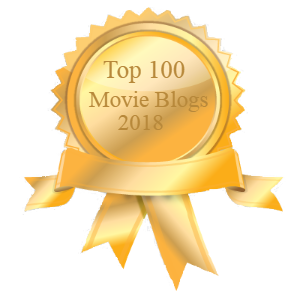 The post A Star Is Born: A Home Run appeared first on Solzy at the Movies.